If you have a sweet tooth and are in Hong Kong at the moment, there are two things you must try, Polo, also known as Pineapple Bun (though there is no pineapple in it, it gets its name from the crispy crust on the bun which looks somewhat like a pineapple) and Egg Tarts. 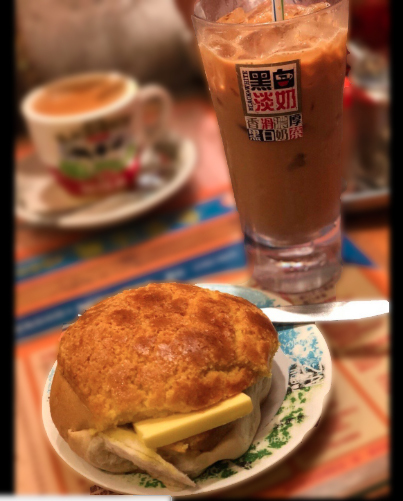 A place that is very popular for selling both of these delicious items is Kam Wah Café and is considered to be the go-to place if you want that authentic Hong Kong Pineapple Bun. So, as expected, we headed straight to Kam Wah Café on our very first day of the trip as we were so excited to try the buns! Kam Wah Café is a small joint and is often completely packed. We were lucky to find a table in a tight corner and ended up sharing it with 2 other guests, something we didn’t mind at all, but space is so cramped that you can barely move your arms! Our favourite item in this place was their Tea – We ordered the regular hot milk tea and also the cold tea and they were very yummy… actually, the hot tea was excellent! So yes, even though the food wasn’t bad, it was also nothing exceptional. 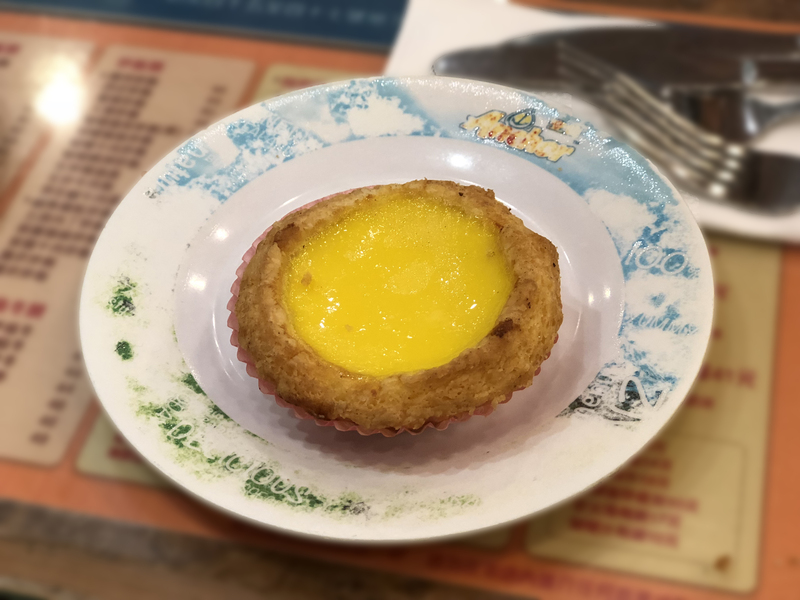 In fact, we did try the Pineapple buns and egg tarts at different places in Hong Kong again and did find some other, rather nondescript places which served much much better versions. Now about the service – they weren’t impolite or anything (anyway wasn’t expecting cheerful smiles or a warm welcome), but what ticked us off just a little was the fact that we knew they have English menu but they didn’t give it to us. The waiter kept talking in Chinese and while we kept replying in English, he didn’t make things easier for us. After a couple of minutes of trying to explain with actions back & forth, he finally DID respond in English, which mind you wasn’t broken at all… So what is it?! You see, after initial dialogue, if he understood we could only speak and understand English, he should have either handed us the English menu or spoken to us in English! Anyway, we didn’t let the overall experience affect our holiday and neither should you…just be prepared that something like this could happen with you too 🙂 If we were to come back to Hong Kong, would we go back? Absolutely NOT! We would give this place a royal miss and think you all should too, believe us – there are several other places that serve better Pineapple buns and egg tarts. We found a brilliant kiosk called Pineapple Canteen just outside Tung Chung Station selling the best pineapple buns in our opinion and for egg tarts try any of the branches of Tai Cheong Bakery or King Bakery. We really hope that this review helps you if you’re planning to visit Kam Wah Café on your trip to Hong Kong and if you’ve been to Kam Wah Café, then don’t forget to share your experience with us!